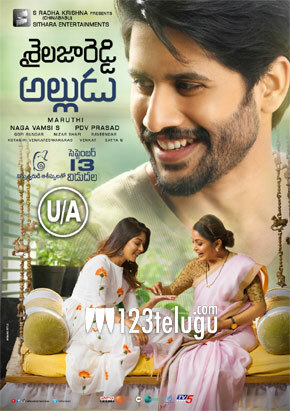 From the past few days, the buzz for Sailajareddy Alludu has increased on a very high note all over. The latest we hear is that the film has wrapped up its censor formalities with a U/A certificate. With this, the film is ready for a massive release this 13th of September. The film is also releasing in a good number of screens overseas making it the biggest release in Chay’s career. Maruthi has directed Chay for the first time and it will be very interesting to see how he has presented him in a mass avatar for the first time in his career.